I’ve driven lots of places, but this last weekend was crazy. I drove my girl to tour the University of Maryland and George Washington University in Washington, DC. We toured U of M, and then drove about seven miles to GW. I’m a virgin when it comes driving in the district, but my experience living in Boston, and as a life-long New Yorker, and even surviving central Berlin or Paris traffic, this was outside my box. I’m pretty sure the density of traffic is much, much higher than New York City, and it’s all over. NYC is dense in spots, but the entire DC area is just overwhelmed with traffic. It takes quite a while to get anywhere, even for a guy used to driving on the Isle of the Manhattoe Indians. We drove that seven miles through a very tony section of town—small houses artfully decorated and surrounded by well-tended greenery. There were 25 mph zones everywhere, and my GPS pinged repeatedly for cameras. I eventually figured out that the predominant camera was K band and shot you in the back, but that the scatter was sufficient for my V1 to reliably pick it up. I would have expected more vandalism because the cams were all low-chest height, and easily “fixable” with only a large garbage bag. I was paranoid because my brother had recently visited the district and gotten both speed camera and red-light camera tickets. I came to the conclusion we were driving through a “Master of the Universe” (translated: inside the Beltway powerbroker) zone, and they wanted a 25 mph limit and ticket cameras to discourage folks like me from using their streets. I saw a lot of 25 mph zones where the legitimate speed limit should have been 40. The GPS wasn’t as useful as I thought it would be. It would ping for “mobile camera zones” where there were none, and it would ping for “fixed camera zones” but couldn’t nail down the exact camera location. The V1 turned out to be more useful, considering there were more cameras than I’d seen in Europe. I only wish I could have turned off the GPS proximity for the speed cams, leaving only the warnings for red-light cams. Oh, and the yellows weren’t very long; I risked tail ending a few times. I did get two parking tickets but was happy to see they weren’t NYC $150 parkers, but were $25 each annoyances. I may pay them, or not. I’m not going back to DC with a car ever, so I’m probably doing exactly what they want. I noted that even pay parking in DC was limited, and if you are a Master of the Universe, you have one of those rare spots. Parking was worse than in NYC, where even if the area is zoned “no” like in Midtown, you can still park off-street for $25 or so. Things didn’t improve much after we left DC. We headed southwest to tour James Madison University in Harrisonburg, Virginia. I guess everyone knows 80 mph is death in Virginia. It was like driving with speed-limited trucks—no one passes, even briefly, and everyone “clumps” at 70 mph in that way that I strive to avoid. Once you cross the border into any other state, everyone splits up and drives normally. Worse, it feeds the moron drivers and fosters a dumbing down of the whole pack. I’m sure the insurance industry is happy, and the ticket lawyers there do well, but the result isn’t good. Given that Washington, DC and Virginia provided the worst driving environment I’ve ever dealt with, I hope we have lots of dedicated NMA members in the area working to fix the situation. (Editor’s Note: We do.) I’m OK with nuking the whole place, except then we’d lose the Library of Congress and the Smithsonian collections. 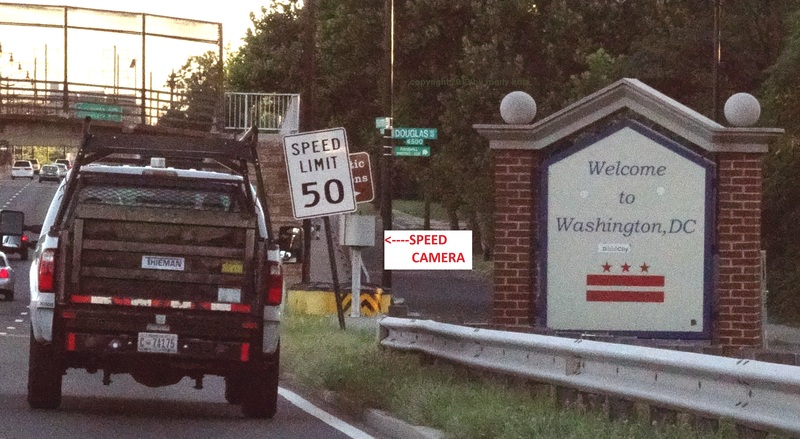 I also, for the first time, understand how DC could push and support 55 mph nationwide and think it a good idea.